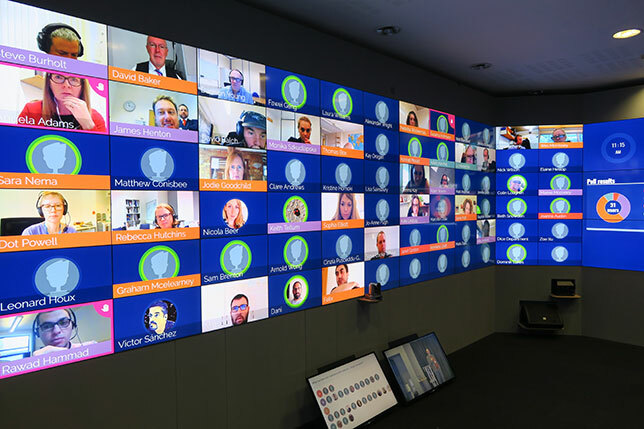 The University of Oxford's Saïd Business School is using cutting-edge videoconferencing technology to connect students and academic scholars in a truly global classroom. The Oxford HIVE allows up to 84 participants from anywhere in the world to interact as if they were in the same room. Saïd Business School at the University of Oxford is consistently recognized for its top-rated programs, as one of a handful of influential business education and research centers worldwide, where scholars and students confront significant global challenges at scale. But as recently as early 2017, faculty and administrators were facing a growing irony: While their premier business school was working arduously on the world's problems, they were delivering teaching and learning in an on-campus-only mode. The school's programs were offered solely face-to-face, so in effect, much of the work on the important issues they tackled was limited to onsite conversations — just as it had always been throughout the university's 800-plus year history. The remarkable tradition of a time-honored, campus-based Oxford experience aside, the business school was in some sense falling behind because it was not using digital technologies to generate the kind of instant and inclusive interactions necessary to create a global community in today's world. So, this past year, the school resolved to transform curricula and invest in cutting-edge technologies to support online and digital learning. In less than one calendar year, these efforts at Oxford Saïd would produce an exceptional model for immersive learning and enable a truly global community of scholarship that could collaborate on complex problems virtually and in real time. The flagship offering of this comprehensive initiative, the Oxford HIVE: Hub for International Virtual Education, proved to be not only game-changing, but also affordable and manageable — a feat accomplished by acquiring existing technology and leveraging the vision and design expertise of technology partners both from industry and on campus. The HIVE is a high-tech, U-shaped seminar room with 27 high-definition projection screens. But it offers much more than HD videoconferencing. 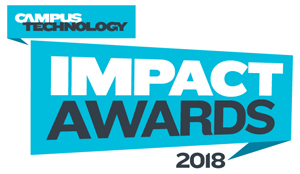 Partnering with technology company SyncRTC, Oxford Saïd has created an infrastructure that allows an instructor or presenter — using SyncRTC's MashMe.io software — to connect up to 84 participants from anywhere in the world in a truly virtual classroom environment that encourages experimentation and heightens collaboration. The multiscreen experience is next-generation webinar technology that allows all participants to interact with each other naturally, as though they were physically present in the same room. Along with the advanced functionality of the conferencing platform, high-definition video and sound applications are served in the unique environment of the video wall, with technology from vendors like LG, Sennheiser, VDO360, and Vogel's Professional Solutions. These high-end products enable new aspects of facial recognition, tracking and active participation inherent in the already advanced conferencing and collaboration software. After the first scheduled class using the Oxford HIVE occurred in late 2017, a stream of creative uses followed throughout A/Y 2017/2018. By May 2018, the HIVE had hosted 54 trials and 25 live classes, providing more than 5,340 hours of individual online learning to some 544 participants representing 15 countries. Key to the success of the ambitious project are enthusiastic faculty and technology leaders on campus who have focused on the best uses of the HIVE and are actively promoting new use cases. In the coming year, greater focus will be placed on options for blended learning. A video produced at Oxford Saïd, "The HIVE — Room of the Future," has captured comments that best characterize the support and excitement for the HIVE: In the video, CIO and Director of Professional Services Mark Bramwell, a project lead for the HIVE, commented, "The really fantastic thing about the HIVE is that there are many potential user cases for it — everything from executive education, to our executive degree programs, to pre-admissions, careers, the Oxford Foundry … all the way through to wider use across the university. The potential uses are endless, and we are really excited about being able to offer this not only to the school, but to the wider university." The same video explores how much faculty appreciate the HIVE's potential to improve teaching and learning: "We need to learn not only the substance of our topics, but also, we need to learn our craft as educators and instructors…." observed Peter Tufano, the Peter Moores Dean and professor of finance. "I think it's important for all of us, from the newest [faculty member] to the dean, to understand how it is that we can improve our craft — the craft of helping others learn."